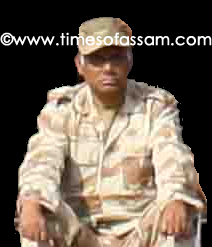 Where few members of Peoples Consultative Group formed by ULFA in September 2004, have demanded an apology from ULFA Chairmen Arabinda Rajkhowa for commenting PCG as unconstitutional, the head of PCG Mukul Mahant revealed some flushing fact about the lateral talk tried earlier through the group. Talking to Times of Assam, the Consultant Engineer, who spent his service life in Canada and came back to Assam in the late 1980s, Mr. Mahant clearly said that there were no meaningful happened at the PCG-GoI initiative. Yesterday in a press meet held at Guwahati Press Club, PCG members Arup Borbora, Ajit Kumar Bhuyan and Haidar Hussain demanded an apology from ULFA Chairmen Rajkhowa. The trio appealed for an apology alleging Arabinda Rajkhowa as a twin-faced person for forming PCG and now stating it as unconstitutional by the law of ULFA. Mukul Mahant who was given charge as the Chief PCG member said Times of Assam in an interview that he was restricted to talk with Manmohan Singh at the PCG-GoI talks with other PCG members. ‘Most of them were always busy with posing before the camera and throwing speech to media personnel, instead of prime issues in every step of PCG-GoI talks. When I was talking with Manmohan Singh, one of them dug at my thigh under the table, and I had to utter Aauchh in worry and pain’, Mahant also added. Mahant also said that only talks can solve problems, not the guns.